When a user signs up, we use the Level Money API to understand their monthly expenses and create a daily budget. The daily budget is created with the following formula: [INCOME - (BILLS + RENT) - SAVINGS]/[# of days in month]. When you spend less than your daily budget, you reward your goals. 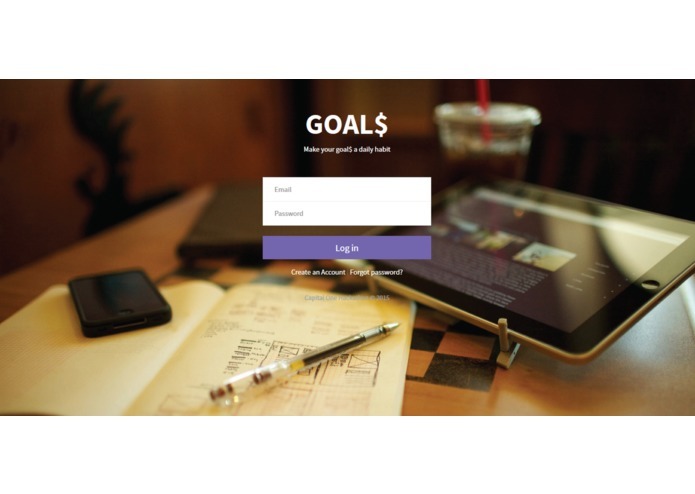 Users set specific, dollar denominated goals, and we ask them to explain why they want that goal. Then, every day, if the user has spent below her budget, she can reward herself by putting money towards her goals. This every day behavior makes GOAL$ a rewarding habit and gives reason to celebrate daily. The Timeline keeps the user engaged and reminds why she set those goals. It celebrates the wins and provides resources and encouragement when needed. GOAL$ provides an Additional Resources page for users that either want to increase their financial literacy or consistently miss their daily budget and need encouragement and training to better improve their financial behavior. GOAL$ works on desktop and mobile (mobile responsive), so that everyone can use it anywhere. GOAL$ changes the conversation about finances to one where the user can celebrate and make progress towards the things that matter. I love creating social networks.